Revelations of Light | Be Kind. We're all in this together. I love Hanukah. Any Festival of Lights is OK by me. The purpose of the Menorah was to channel the light from Binah to this world, Malchut. The 8th candle we light on the last night is all about the Level of Binah – “Above the Realm of this World” and connects us to the Concealed Light. We can gaze at the 8 lit candles for at least one-half hour and connect to the Light of Creation. 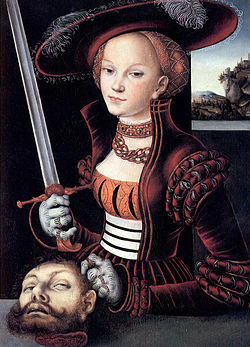 Then there’s my history girl-crush, Judith. She won the confidence of General Halifernes, made him sleepy with wine & cheese, decapitated him & hung his head out the window. The ladies have been getting it done for a long, long time. 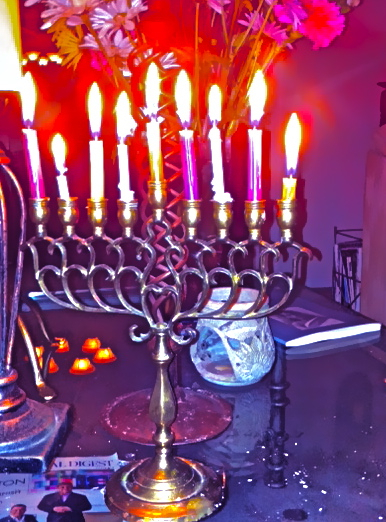 Blessings of an enlightening Hannukah. This entry was posted in Uncategorized and tagged Binah, Concealed Light, Festival of Lights, Genesis, Hanukah, Judith, Light of Creation., Malchut. Bookmark the permalink.